The National Accident Helpline (NAH) published findings of their ‘Accidental Carers’ campaign to the nation’s press yesterday, and we join the call for greater support of the UK’s estimated 6.5 million unpaid carers. The study paints an all too familiar picture of the plight of those with a responsibility of care. Here at Revitalise we too have conducted plentiful research in recent years into the impact that a lack of time away from caring can have. We found that 60% of carers put the health of their loves ones ahead of their own, with guilt being one of the biggest barriers preventing them from taking a break from caring. Intriguingly, both our own research and that of NAH found a strong correlation between feelings of guilt and reluctance to take respite breaks. Our findings have also revealed that many carers become faced with a situation where they are in need of a break, but are simply too terrified to let go of their loved one, even if for only a few days. Imagine worrying that your loved ones wouldn’t be looked after properly – well, that’s exactly what our survey respondents told us was an additional barrier to their taking time off. It would be extremely difficult to enjoy a relaxing break worrying about all those things, right? That’s why we’re so passionate about doing what we can to support the nation’s unpaid carers. We understand that many carers are utterly devoted to their loved ones, often working relentlessly to provide them with care and companionship. 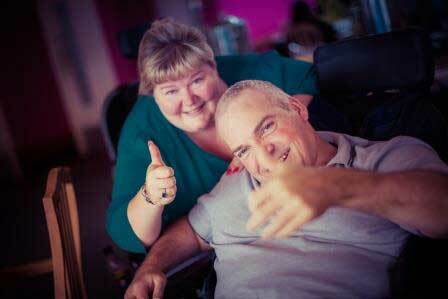 In giving disabled people and carers the opportunity to leave the stresses of everyday life behind, our breaks rejuvenate and restore, in turn assuaging carers concerns that their loved one is being properly cared for. Having a disability myself, I am well aware of the value of being able to take a break and believe that it is of upmost importance to care for the UK’s unpaid carers, who save the economy a hugely significant amount in care costs every year. Find out more about taking a break with us here, or read more on NAH’s research here.